A delicious blend of coconut flour, flaxseed flour and mixed seeds of sesame and sunflower, which add a nutty taste and a delicate, almost invisible crunch. Flax Seeds Are High in Omega-3 Fats: If you are a vegetarian or don’t eat fish, flax seeds can be your best source of omega 3 fats. They are a rich source of alpha-linolenic acid (ALA), a mostly plant-based omega-3 fatty acid. ALA is one of the two essential fatty acids that you have to obtain from the food you eat, as your body doesn’t produce them. Animal studies have shown that the ALA in flax seeds prevented cholesterol from being deposited in the blood vessels of the heart, reduced inflammation in the arteries and reduced tumor growth. 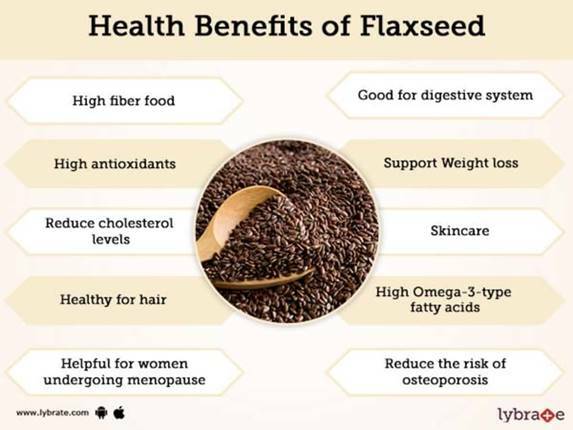 Flax Seeds Contain High-Quality Protein: Flax seeds are a great source of plant-based protein, and there’s growing interest in flaxseed protein and its health benefits. Flaxseed protein is rich in the amino acids arginine, aspartic acid and glutamic acid . Numerous lab and animal studies have shown that flaxseed protein helped improve immune function, lowered cholesterol, prevented tumors and had anti-fungal properties. If you are considering cutting back on meat and worried that you will be too hungry, flax seeds may just be your answer.